The Managing Committee of the IFAF Europe Continental Association met on 11.01.2018 for its regular board meeting in Barcelona. 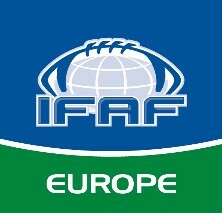 Paris - This weekend, the IFAF and IFAF Europe General Assembly will take place in the French capital. IFAF Continental Association of Europe/ IFAF Europe Managing Committee (MC) met on Feb-ruary 12, 2017 in Barcelona to its first working meeting.